No one could have foreseen the chain of events that would be set in motion when Tommy Joe Branden insisted that his ‘little sister,’ Brinley Phillips, accompany him to Vegas for a few days for some much needed time off. Christopher Jacob (Jake) Reardon is an ex-Texas Ranger. 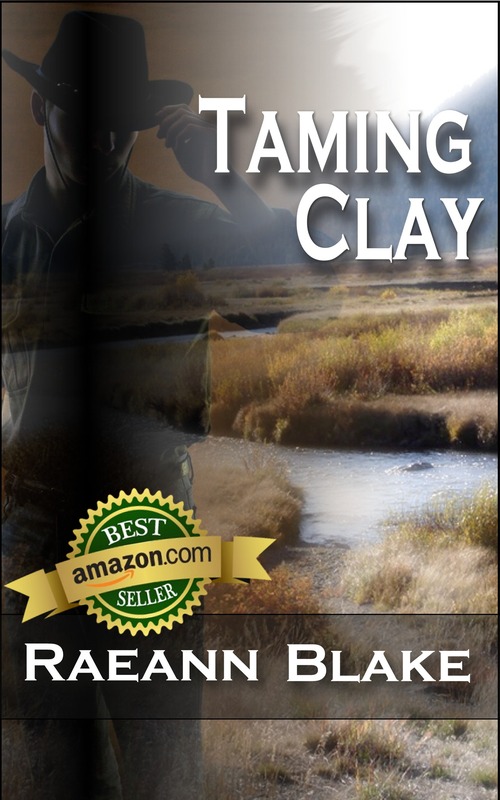 Jake splits his time between Las Vegas where he is a partner in a security/bodyguard company, and his ranch outside of Elko, Nevada where he is just beginning to realize the dreams of his childhood. Samuel Davis Reardon is Jake’s younger brother by two years and the two men so closely resemble each other that they are often mistaken for twins. Davis is currently employed with the Texas Rangers but visits Jake in Nevada when he can. Michael James Cavanaugh is the Sheriff of Clark County, Nevada. Michael met Brinley in Texas under less than fortunate circumstances during the time he held the position of Sheriff in the county where she lived. Little did he know that their paths would cross again in Nevada. Tommy Joe Branden is a popular country music star who grew up with Brinley and was best friends with her late brother. After his death Tommy took it as his responsibility to fulfill the role of ‘big brother’ for her and her younger brother. Ronald Casey Williams is Brinley’s younger brother, the baby of the family. With the rest of their family gone, Brinley and Casey only had each other and Tommy. Casey is a college student working towards his dream of becoming a veterinarian, but sometimes dreams change. Jace Garrett (Bo) Canton is Jake’s ranch foreman. Bo was the first man Jake hired and he’s been with him ever since. Polite and sort of shy, he’d been a loner most of his life, never staying in one place too long…but no more. Lonnie Case Howard is another ex-Texas Ranger and Jake’s partner in their security/bodyguard company based in Las Vegas. Lonnie left the Rangers before Jake and bounced around the country for a while until he eventually landed in Las Vegas. You will meet each of these men in Jake’s story. You will learn more about each one through their own stories. Only they can tell you how one chance meeting ultimately leads them all through an intricately interwoven web of hope, love, heartache, lies, deceit, and murder. Only they can tell you how they become The Seven Brothers of Elko. The Seven Brothers of Elko begins! It’s official. 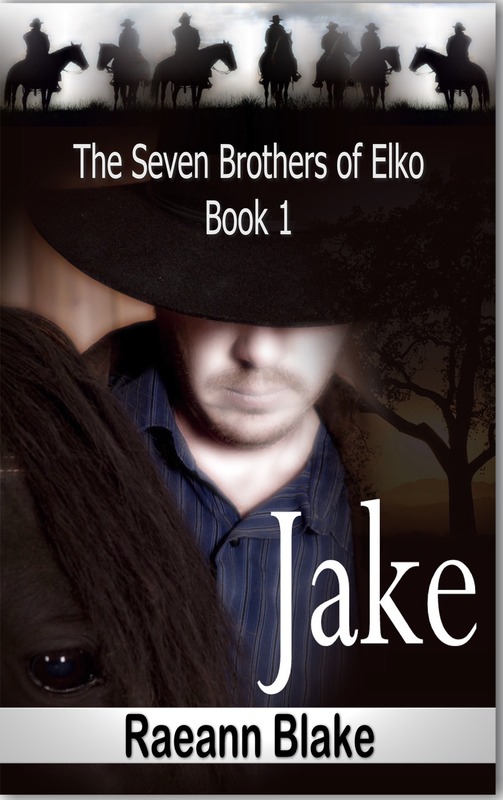 Jake, the first book in the series The Seven Brothers of Elko, will be the next book released. I really wanted to hold on to them for a while, but the characters keep interrupting me when I try to work on anything else. So I guess that means they are ready to share their stories with you. This will take a little time. Seven Brothers was the first set of books that I wrote and what I consider my style of writing didn’t fully develop until about the third book. Jake and Davis especially will require some extensive editing before I will release them. In the interim, I will do my best to keep you all up-to-date on my progress as well as post some blurbs and excerpts along the way. Are authors in their own books? I often wonder if other authors ever see bits of themselves in some of their characters. I never intend for them to turn out that way, but I always find some of my own tendencies, flaws, habits, and even some personality traits popping up in mine from time to time. 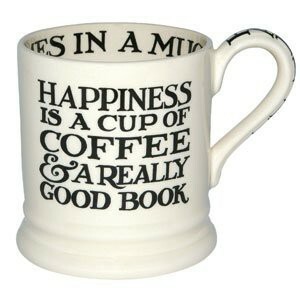 My addiction to coffee comes to mind. More than one book has a character that shares that addiction. I smoke (yes, I know) and so do many of my characters. The people they admire are people that I admire. The music they like is music that I enjoy. 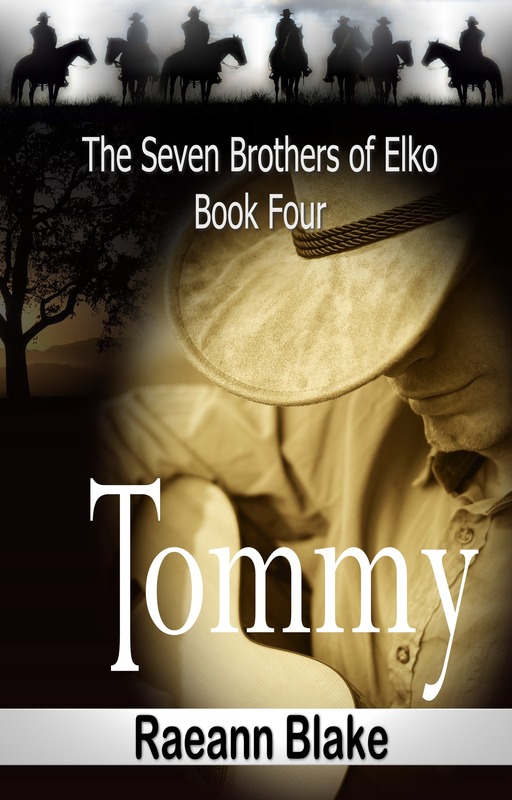 The heroine in the first book of The Seven Brothers of Elko series has a fascination for the Texas Rangers as do I. (No, not the baseball team…THE Texas Rangers.) On the other hand I seem to also be inclined to give some of them traits that I don’t possess but sometimes wish I did. So that brings up the question about whether or not this is a shortcut style of character development. Maybe, but I think it’s more a case of me temporarily living through the characters and they become a blend of the two of us. It is possible that they feel more alive to me because we share something in the way we think, feel, or act. Giving them life has also added to mine. Looking back I can see that I have also picked up specific traits that some of those characters have that I did not have before. They sometimes have particular strengths that perhaps I didn’t have but learned from them. No matter what anyone says, writing is therapeutic. It can also be detrimental when you allow yourself to get too close to your characters, too ingrained into their lives. Authors often spend most of their time alone or only in the company of their characters. It takes practice and a dogged determination to find a balance between the people who live in your head and those in your life who don’t. I personally haven’t always done such a great job of finding that balance. As I end my two-week hiatus from writing, rewriting, editing, and publishing I hope that I do a better job of that going forward. Having now recognized that I put pieces of myself into my characters, will I continue to do that? You betcha! I didn’t grow up wanting to be an author. I loved to read, but I hated to write. My high school memories include some god-awful essays and book reports. I have no idea now whether they were even passable or not. I just know I hated writing them. I certainly don’t remember any of my teachers being overly impressed with my skills or my imagination. 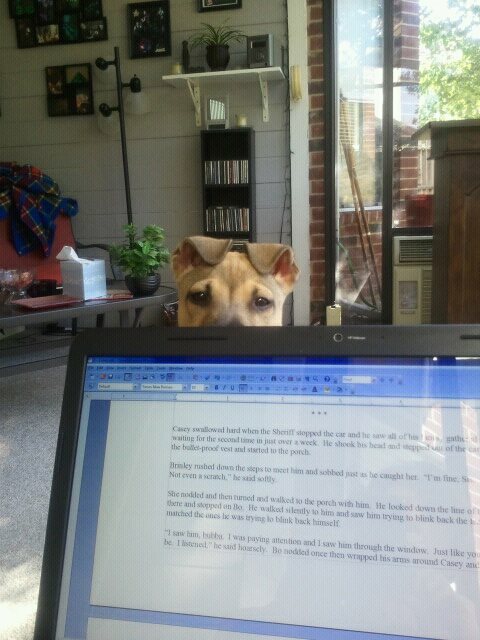 So there was nobody more surprised than I was when writing began to take over every waking moment not spent working. So exactly how did I wind up writing twelve full-length novels and five more partially done in the span of about four years? Well, back in my (much) younger days, regardless of what my teachers thought, I really did have an active imagination. I started out with this harmless fantasy about a popular television actor at the time. Every day for a very long time I added a little more to that fantasy until it grew into this long saga. But I didn’t write it down. The years passed and I would go back over that story from time to time. My reading always came in starts and stops. For a while you wouldn’t see me without a book in my hand. Other times it would be months before I picked up another one. It was during one of those times when I was reading a lot, at least one book a day. I would read just about anything from mysteries to true crime to romance and everything in between. I read a lot of Nora Roberts, Tami Hoag and Patricia Cornwell. Then I found Janet Daley and Linda Lael Miller. There were a lot of others too, but those were the main authors I looked for at the library and store. I had just finished reading Janet Dailey’s Caulder series of books and started thinking about that story again. It just kept bugging me and I was worried I would forget it if I didn’t write it down. So I did…sort of. I started out and as soon as the first words were down it just seemed to flow. A few months later it was finished. Only it wasn’t my story. It was completely different from my story. And I couldn’t remember the original one anymore. To this day, I can tell you basic premise behind it, but that long detailed story is gone. Instead, I wound up with a book I imaginatively called Jake who is, of course, the hero. 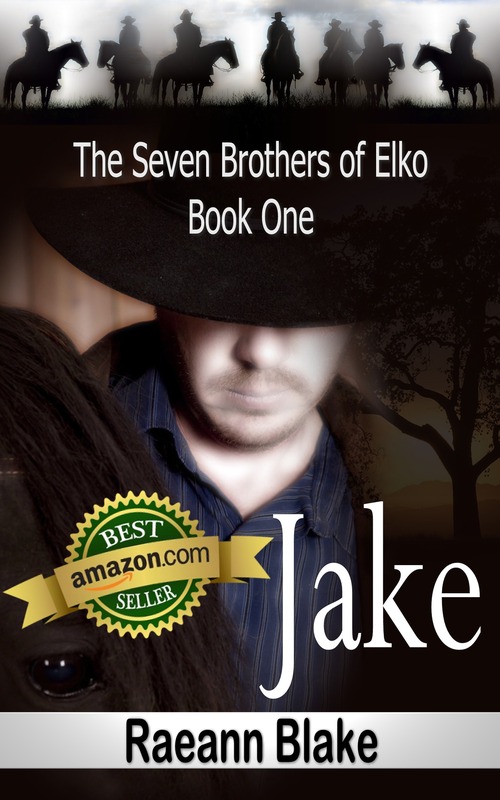 What I could never have envisioned at the time would be that Jake would turn out to be the first of seven books in a series entitled The Seven Brothers of Elko. It seems once I started I just couldn’t stop. I took the occasional break to read something by somebody else, but the next “guy” just seemed to keep calling me until I went back and started writing again. Each book that I have written is overly long by genre standards. They are overly detailed compared to many I have read. But I write the way I like to read. I enjoy the details, the descriptions, and the dialog. I like reading a book that I can’t read without having to get up and go to the bathroom at least once. Every writer has a different style. This is mine. Like I said, I write the way I like to read. In today’s hectic lifestyle many people just don’t have the time or patience to invest in stories like mine. And that’s cool. To each his own. I never intended for anyone else to read these books. I wrote them because I had to. I enjoyed living life through the eyes of my characters. But I did finally let one person read them and only because I knew she loved the same kinds of books I did. She loved them and started in right away about publishing them. For seven years this went on. Seven years that she had to enlist family members and friends to help her push, prod, and outright shove me towards releasing them. I finally gave in. A couple of the single titles (that may or may not turn out to be part of a series down the road) are the first two out. I’m still holding onto The Seven Brothers for now. I got very close to the people in those seven books. And you will see them pop-up from time to time in a few of the other books that I wrote after them as well. But I will let them go share their stories with others one day soon. And you never can tell. 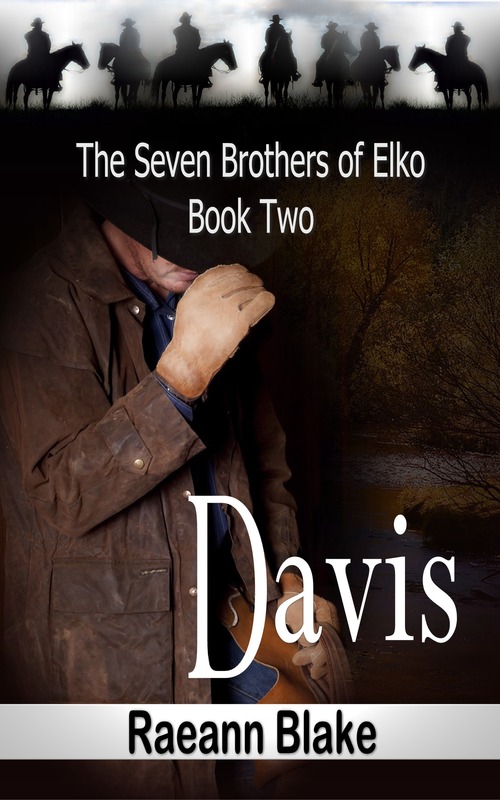 They just might come back to visit again…maybe there will be a second generation of The Seven Brothers of Elko someday. I have had any number of people ask about the crazy dog that I mentioned in my bio in the books and across most of the websites where I’m listed. Well, here she is. Her name is Millie and she’s a 1 year old Pit/Lab mix. She was about six months old in the picture on the right. And as you can see, she is not too appreciative of the time I spend on the computer. I took that picture after she sat exactly in that pose for more than five minutes. Trust me, big brown eyes staring at you over the top of the computer screen does get a little distracting after a time. Since I work from home for the day job, she’s pretty much constantly always at my feet. It took her months to figure out that I couldn’t play during the day. There were a lot of frustrating days on both sides. Software development is not the easiest job in the world and takes some degree of concentration. There was little of that for a while with a puppy constantly pawing at my feet wanting attention. But, she finally did learn. She usually only bothers me now when she’s ready to go outside. Other than that, she is asleep on her pillow by my chair or close by my office. I’m glad to say that she appears to have passed the phase of eating the walls, but don’t leave anything else down that she can reach. 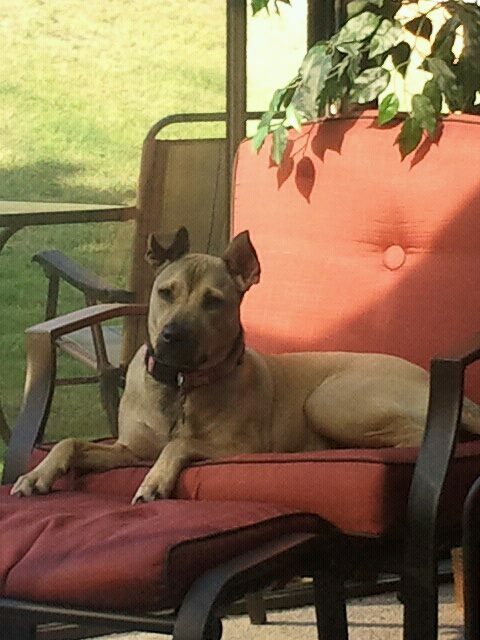 She hears everything…and I mean everything. But, the dog could not track a skunk if she was standing four feet away from it. Don’t get me wrong. She can smell just fine. It’s her attnetion span that’s the problem. You can just see the thoughts ping-pong around in her head as she starts to scent along the trail of something only to get distracted by another scent, or a noise, or a bug…anything. It only takes a split second and she’s headed in a completely different direction. It’s like “ooh, squirrel, squirrel, squirrel…lizard, lizard, lizard…pretty butterfly, come here butterfly.” I swear she has ADHD. I still probably threaten her with bodily harm at least 10 times a week at a minimum when she decides she wants some attention when I’m trying to work. It has been worse lately with the time I’ve spent working at night getting a couple of books ready to publish. But she is a loving thing and I have learned to share the house with her after being used to total isolation while I’m working. She might be crazy, but she’s ours. Good Saturday morning!! Want to show authors you like some love? Go to each book page for a book you enjoyed and first click the “Like” button at the top of the page right under the book title. You can also hover over the “Like” button and choose to share the page on FB, Twitter, Pintrest, or by Email. Next, scroll way down towards the bottom and you will find a section called “Tags Customers Associate with This Product”. Click the checkbox beside each tag that you see that you agree with, or add your own (you can choose or add a maximum of 15 tags that you like). Next scroll back up a little and add a Review. It can be as long or short as you want along with your rating. See other reviews that you agree with or that were helpful to you in making your own decision to buy the book? Click the “Yes” button where it says “Was this review helpful to you?” If it wasn’t or you disagree, you can click the “No” button. You can also comment on a review although I personally feel that you should not comment on another’s review. Everyone is entitled to their own opinion and nothing will be accomplished by engaging in a debate over their opinion. The “Likes”, “Tags”, and “Reviews” all help in ratings, rankings in search results, and in helping other readers make their decisions about whether or not to pick up their own copy. And the reviews especially, good or bad, help authors know where they’re on track and where they aren’t. Good reviews provide us with that affirmation that keeps us going; bad ones provide us with learning tools and road maps on what we can do better. You can also access the Author’s bio page by clicking on his or her name underneath the title. On this page you will find another set of “Like” and “Share” buttons on the right side of the page. 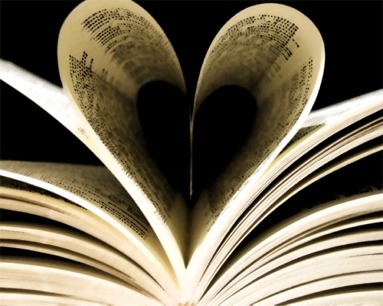 Authors give you their hearts through their words. So when you have some time, tell them how their doing.